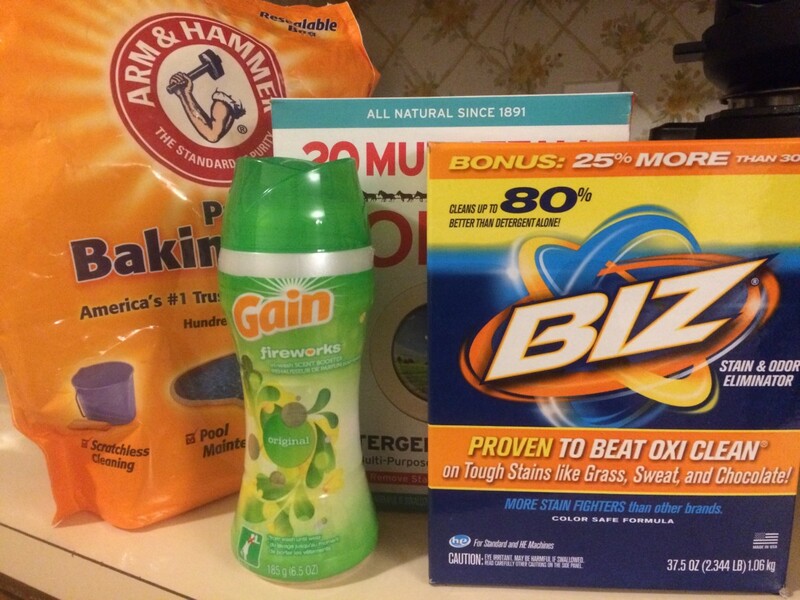 Is Homemade Laundry Detergent As Good as the Commercial Brands? With two small children in the house and laundry creating piles the size of Mt. Whitney, we go through a lot of laundry detergent. I decided to try the Duggar family laundry detergent recipe to see if it was as effective as the name-brand detergent we normally purchase. Add 4 cups hot water to a small saucepan. Grate the Fels Naptha soap and add it to the saucepan. Heat over low heat until the soap is melted. Stir the melted soap and water to mix the solution. 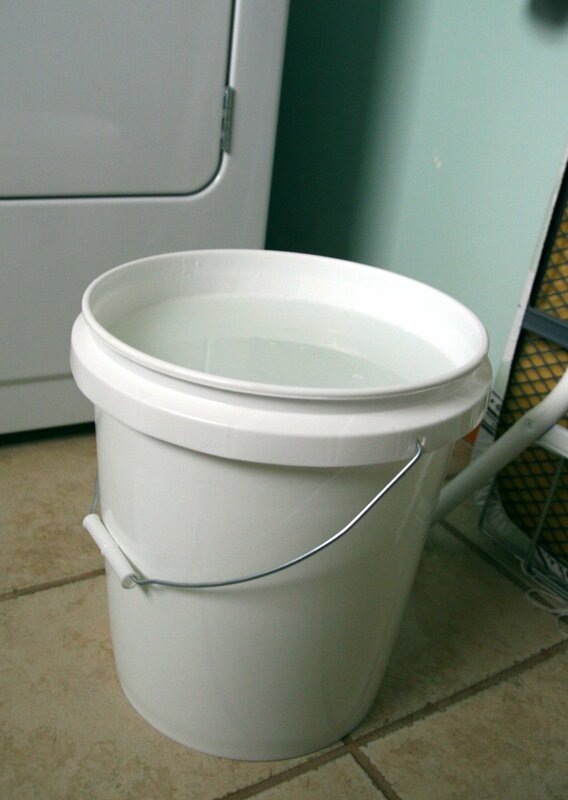 Fill a 5 gallon bucket 1/2 way with hot water. Add the melted soap, Borax, and Washing Soda. Fill the bucket to the top with more hot tap water. Use a large wooden spoon to stir the mixture. Let sit overnight to thicken. Does Homemade Laundry Detergent Work? I made the laundry soap recipe according to the Duggar Family Website, and let it sit overnight to cool and thicken. I was concerned when I saw little gelatinous lumps floating in the bucket. I stirred the laundry soap, filled an empty laundry container 1/2 way with the soap, and topped it off with water. I ran the first load of muddy, stinky little boy jeans, and the pants came out of the washer smelling fresh and clean. All traces of mud were gone! In addition, my kitchen towels came out cleaner than the commercial laundry detergent load. Since that point in time, I have not bought one gallon of commercial laundry detergent. The homemade laundry detergent version works just as well (or better)! Instead of grating the Fels Naptha soap, try microwaving the slices of the soap for approximately one minute (or until the soap swells). Allow the soap to cool, then simply crumble the soap into hot water. Many people are concerned about the time required to make a batch of homemade laundry detergent. The entire process takes very little time: the longest process is grating and melting the bar soap in the heated water. Ivory soap melts much faster than Fels Naptha. If melting Fels Naptha bar soap, the melting portion may take up to 20-30 minutes. Ivory soap will melt within 10-15 minutes. The rest of the homemade laundry soap comes together in seconds: simply dump in the melted bar soap, borax, and washing soda: fill to the top with hot water, and stir. It is extremely simple, and the large quantity of cheap laundry detergent more than justifies the half hour spent melting soap! The materials in homemade laundry soap have no phosphates. 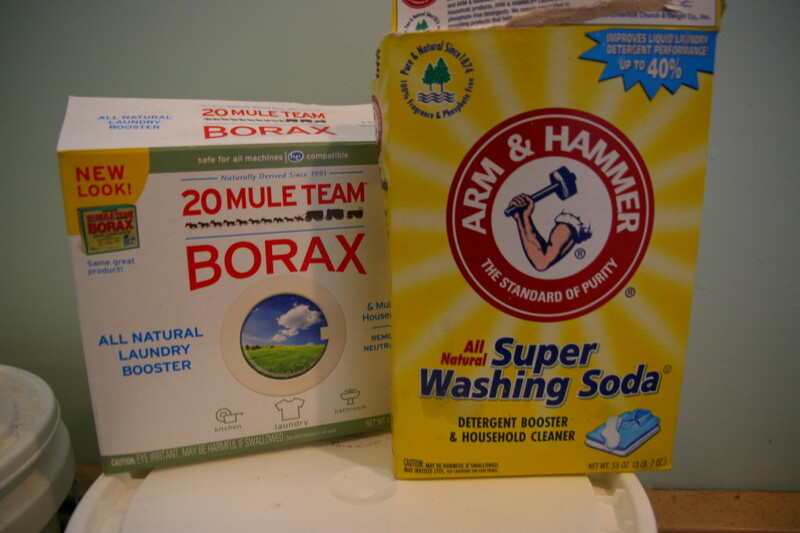 Borax and Washing Soda are naturally occurring compounds. The laundry soap uses recycled dispensers, and for every 5 gallons you make, you save 10 plastic containers from going to the landfill. The estimated cost of homemade laundry detergent is approximately $0.01 per load. There is no commercial laundry detergent that can compare to the cost of the homemade version. A reader of this article suggests going to your local grocery store and asking for buckets from their bakery department. The icing arrives in 5 gallon buckets, and the grocery store will sell the buckets at a deep discount. I have substituted Ivory soap for the Fels Naptha, because my boys have eczema. 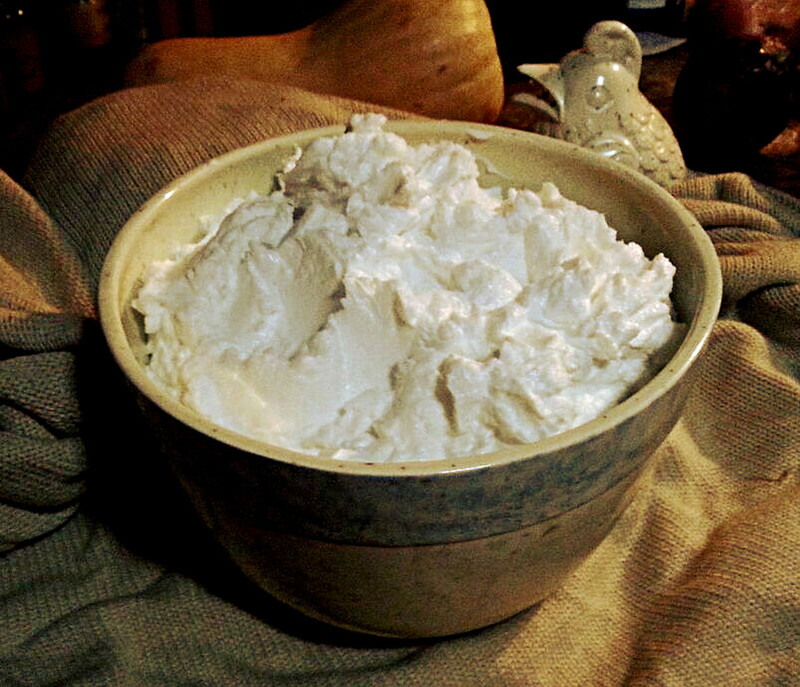 The homemade laundry soap is fragrance free, and is gentle on their sensitive skin. The bar soap portion of the recipe can be changed to Zote (pink), Ivory, or Fels Naptha. If desired, 10 drops of essential oil can be added per 2 gallons of laundry soap. Essential oils come in a variety of wonderful scents, so you can pick your own (and vary it by the season)! To save money and get a great-scented homemade laundry detergent, Irish Spring soap may be grated and added to the detergent. Add a bar of grated Irish Spring soap and reduce the amount of Fels-Naptha to about 1/3 of a bar. Alternately, 2 bars of Irish Spring soap may be used (do not add Fels Naptha if 2 bars of Irish Spring will be used). Other "bath" soaps have met with success, including Dial and Ivory soaps. Take care, however, as some bath soap products contain oils which may stain clothing: avoid the "moisturizing" bath soaps! Use less Fels Naptha or add more hot water. You can also re-mix the solution with vigorous stirring. I immediately decant my detergent into containers and dilute with water to prevent the gelling problem. Detergent is runny and "gloppy"
Good job! This is the way it is supposed to look. This bar soap is located in the laundry section of most department stores. I have hard water and my clothes are still dirty. Hard water can build up in machines and cause inefficient cleaning. Try substituting Ivory for the Fels Naptha or use Baking Soda instead of Washing Soda. Ivory and Baking Soda are less irritating to skin than Fels Naptha and Washing Soda. Can I Use Baking Soda Instead of Washing Soda? Baking soda and washing soda are different chemicals (sodium bicarbonate and sodium carbonate, respectively). Baking soda is slightly less effective at removing oily stains from clothing, but many people use it in homemade laundry detergent. Baking soda is slightly less irritating to the skin, so using it in laundry detergent destined for cloth diapers is a good idea. I have always made the laundry detergent according to the Duggar recipe (which uses washing soda) and am pleased with the results. If you have members of the family with sensitive skin and don't have heavily soiled clothing, baking soda might be worth a try. I purchase a commercial detergent. I make my own liquid laundry detergent. I make my own powdered laundry detergent. My detergent separated into clear on the bottom and white more solid on top. It doesn’t look like yours. How do I fix that? One way to fix separated laundry detergent is to heat the entire batch and slowly cool, mixing it the entire time. Another option is to use an immersion blender to try to blend the layers back together (I have done this with some success in the past). To prevent this from happening, I typically check on my homemade laundry soaps as they are cooling and stir them intermittently until they are completely cool. Periodic stirring will prevent the layers from separating as it cools. I have oil stains on my clothes. Will this help get them out? You can try to make a small batch of the DIY laundry soap and see if it takes the oil stains out of the cloth. 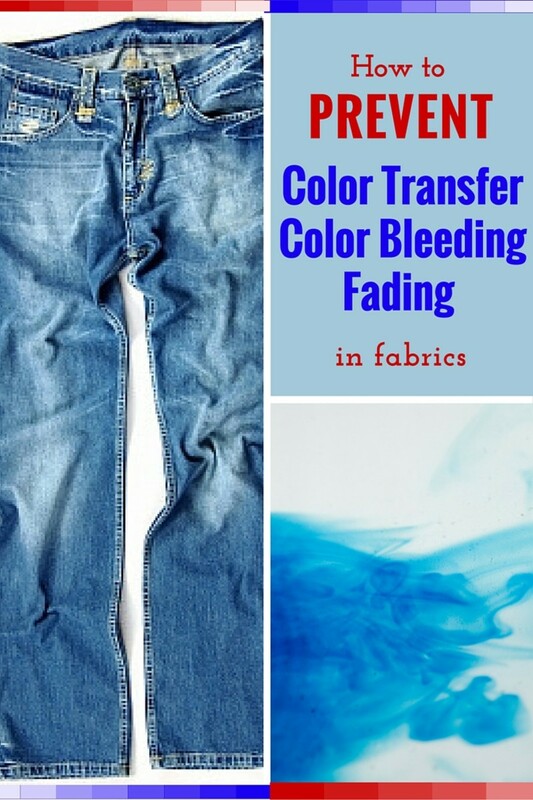 If it doesn't, then don't place the cloth in the dryer (to avoid setting the stain). Oil stains can be tough to remove, so a pre-treatment with a clarifying shampoo, liquid dish soap, or aloe vera may help. Use a small toothbrush to rub the pre-treatment into the stained area. In a front loading machine, do you put the detergent in the designated drawer, or directly into the machine? I put the detergent in the designated drawer of my machine with this recipe, since it is liquid. If I'm using a powdered laundry soap recipe, I add it directly to the clothes in the washing machine. I’ve been using this recipe but it seems to leave my clothes feeling a little slimy and oily, and that’s after it comes out of the dryer. What could be the problem? It is possible the soap solution is not getting thoroughly rinsed out of the clothing. I would try reducing the amount of laundry soap or increasing the length of the rinse cycle on your washing machine. Adding white vinegar to the washing machine may help as well. Can I use liquid Irish spring soap in this homemade laundry detergent? You can substitute two bars of Irish Spring soap in place of the one bar of Fels-Naptha. It will create a very fresh-smelling laundry detergent. The only soap I would not use would be a moisturizing soap like Dove, which may not work as well as traditional bar soap in the homemade laundry detergent recipe. How Well Does Homemade Laundry Soap Really Work? I use the original recipe, too, Debbie. It works very well and we have no problems with the original recipe! I have used this for almost five years with no problems. I go by the recipe with no changes or substitutions. Your points are definitely worth consideration, Lilly. If a person had problems with buildup or clothes turning gray, it would definitely be time to consider a return to a commercial detergent preparation. We have used homemade laundry soap for a long time and have not encountered that problem, but for those who do, a return to commercial detergent is probably necessary. We have also used both vinegar and bleach in our laundry machine and have not ever had a problem with seal rings breaking, but we have a top loader and not a front loader. For those with a front-loading machine, it would be wise to be careful with both bleach and vinegar. In the long run, the homemade detergent will lead to build-up and greying. Real detergents contain ingredients that will stop loosened soil from redepositioning on the laundry (anti-redeposition agents) and ingredients that help to lift stains (soil-release polymers). Also, in order to clean at low temperatures and help with difficult stains (oil/grease), modern detergents contains enzymes. I assume, for some time a simple mix is ok, but I don't think the homemade detergent is good in the long term or for delicate clothes. Also, using vinegar in the machine repeatedly is really bad for the seal rings, as they are not made for repeated acid rinsing. It can cause leakages and premature aging of the machine. You can try the liquid ivory soap, Jessica. I have only used the bar soap when I make this recipe, but another person who commented below does add liquid dish washing soap to the recipe and has success with using that method. If you try using the liquid Ivory soap, please let me know if it was successful! Does it have to be bar soap or can it be liquid ivory soap? Hi Tasha, I would try reducing the amount of laundry soap or increasing the rinse cycle in case the issue is residual soap left on the clothing. Another option would be to reduce the amount of Fels Naptha bar soap in the actual recipe to see if that helps. Adding vinegar to the load of clothes may help, too. Let me know how these suggestions work for you! I’ve been using this detergent for a few weeks and our clothes are coming out slimy/oily feeling and that’s after washing and drying. What could be the problem? Ohio Mom, do you add the liquid dish soap in addition to the Fels Naptha (or other bar soap)? I will have to try this modification! I agree, Ang - I always cringe when I have to spend money on detergent at the store when I can make it at home for pennies! It saves so much money! It isn't for everyone, Gill - but if you are trying to eliminate the plastic used in packaging for commercial detergent or trying to pinch pennies, then it can help! Those are fantastic tips, Jeff! I also use a cheese grater to grate the cheese. I will have to try adding some Dawn to my next batch to see if it makes a difference! 1) I grate the bar soap with a sharp cheese grater. It melts a LOT faster this way. I can make a half batch in about 5 minutes. 2) I add a little bit of Dawn dish soap to mine. I think it helps with the cleaning process, though I haven't actually tested to be able to quantify this. I usually get my buckets at Home Depot, since it is local to us, Carrie. It is much cheaper than buying store-bought detergent! 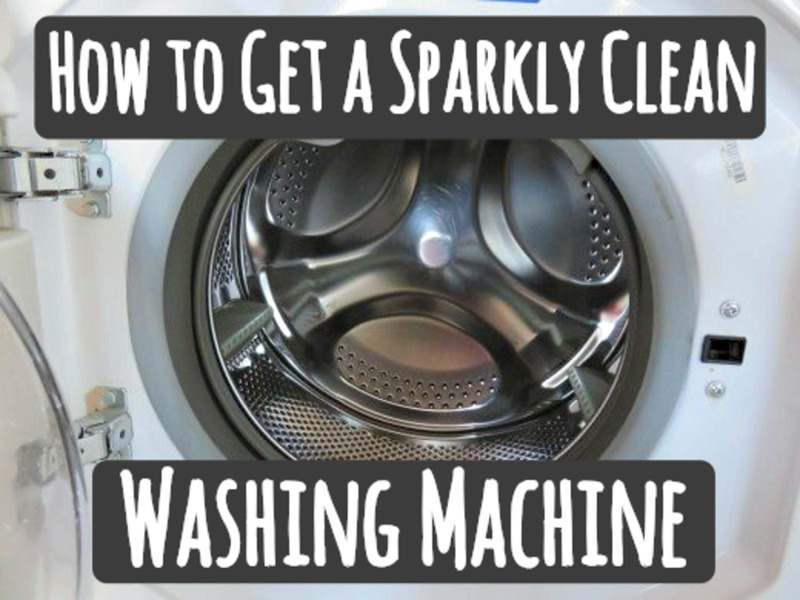 It works very well - with two boys in sports (they are now ages 10 and almost 12), I do a lot of sports laundry! My daughter in law turned me on to making this detergent. I agree it works better than store bought. I love the smell of gain detergent. I added a container of gain fragrance booster crystals to the melting soap. It melted right in. So now I have an entire bucket of Gain for a few penny's! You can get the five gallon buckets with lids at Walmart in the paint section or at Lowes. I love this stuff!! Hi Gidget - we have used it safely in both a front-loader and a top loader. I hope that helps! Making your own laundry soap definitely helps with a household budget, Patricia! I tend to use the liquid laundry soap more often than the powdered version, but the powdered version can be easier to store. No matter which version you use, money is saved and clothes are clean! Been dabbling with hm laundry compound for the past 9 years, and this past year, as I was trying to get us out of debt, I began doing it seriously. I love how it cleans my clothes. And I especially love saving money. I have a he Front Loader Maytag. Works perfectly. I did notice that when I made the powdered recipe, that it worked best on the warm water setting. Most of the time I am making the Liquid recipe, tho'. That is a great idea, Jann! Litter buckets would be perfect for storing the laundry soap and are free! I hope it helped, TJDinNH! There are a lot of home-brewed laundry recipes available now, and most of them work extremely well! This is one of the best stories and comments sections I've read in a long time. I almost feel like I have should have some sort of certificate for all of the knowledge I gained. I am a recent laundry cord cutter, and this page will be bookmarked as my laundry bible. Thanks everyone! To make a half batch, simply divide the ingredients by half. Hi Jean Blake! We use it is our HE washing machine. We just use about half of the amount used in a "regular" washing machine - so I use about 1/4 cup of laundry soap instead of 1/2 cup. I hope it works for you! You may certainly do this, ZJones - you can pre-dilute it. I usually leave mine concentrated because I can move a 5 gallon bucket around my laundry room, but cannot lift the 10 gallon bucket when full. 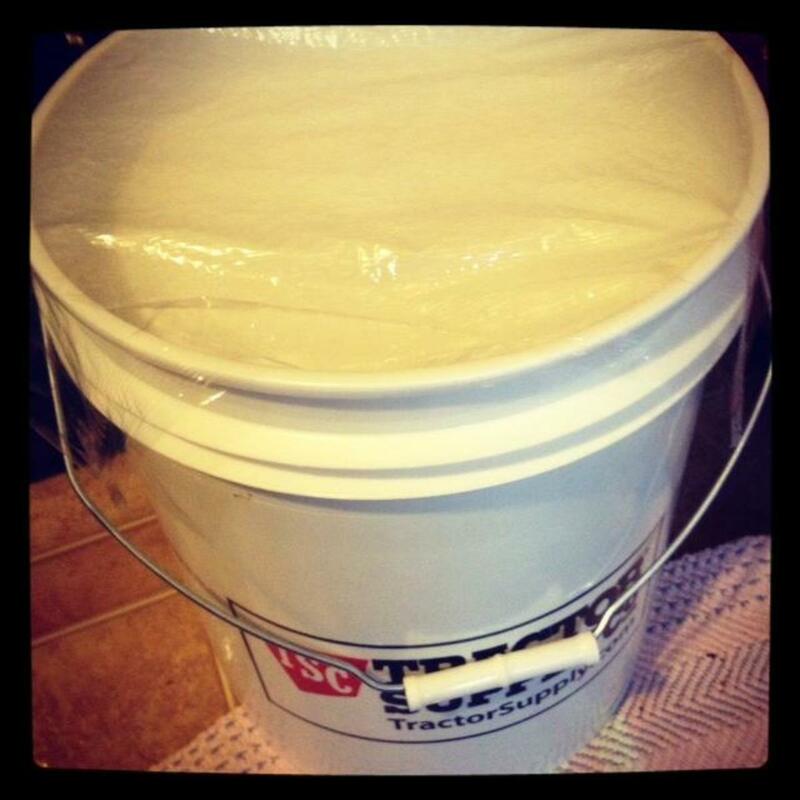 If you don't mind leaving the bucket in one place (or have a lot of strength), then go with the 10 gallon bucket! Thank you for these tips, Jody! I will have to try them to help keep my laundry soap from getting "gloppy!" A few people have mentioned using the paint stirrer on a drill - I am definitely using one the next time I make this recipe! I will definitely make sure my soap doesn't boil - I typically only heat it to melting, but have occasionally walked away for a second too long and found it boiling when I returned! I also love making my own laundry detergent - I love the way it is better for the environment, less expensive than the commercial varieties, and is very effective at cleaning our clothes! Hi Kat, I usually use one bar of Ivory soap for the recipe. I will have to try the cream version, Dawn! I love this recipe but I also like experimenting. I found the same issue with the powder detergents - they work well, but need hot water to dissolve complete in my washing machine. I really love the fact that homemade laundry soap is made in a reusable bucket and we aren't sending the plastic commercial detergent bottles to the landfill or recycling center. I have made the laundry soap out of Ivory and Fels Naptha, but have not made it from Zote yet, Jean. I have the same situation - it is difficult to find Zote in the store. I would use the same amount of Zote as Fels Naptha (I would cut the 17 oz. bar into thirds). 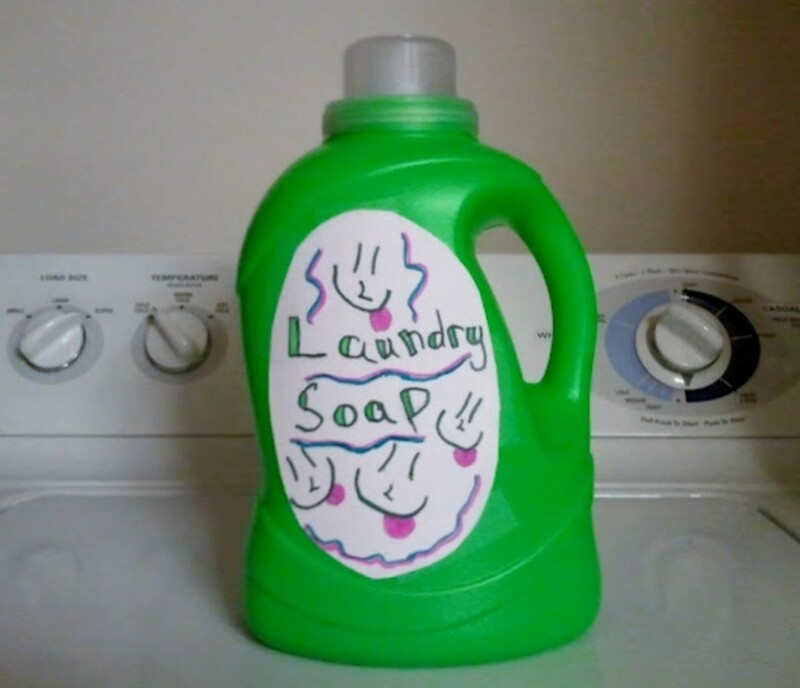 The cost is really the best part of homemade laundry soap - I haven't been able to find any commercial detergent that is as effective for such a low price! Fels Naptha has the advantage of washing out poison ivy oils, too, so that has been a big benefit for my two boys who play in the woods. That is a fantastic idea, Therese! I will have to try using our paint stir attachment to help homogenize the detergent. I really do like using the laundry soap - it is a fraction of the cost of commercial laundry detergent and works well! Hi Lisa - I usually use one bar of Ivory soap, grated and melted. I'm getting a brand new 5.3 cubic ft top-load HE washer tomorrow. I've been using this detergent for a while and love it. In my old front-loader, I put the detergent right in the drum on top of the dirty clothes. Is it safe to put it in the soap dispenser of my new washer? Thanks in advance. How many bars of Ivory soap would you use? I've made this soap for years and I prefer it to detergent. My whites get brighter and my clothes don't get worn out from washing. I bought a paint stir attachment for my drill to mix the last batch with and it makes the soap a lot creamier and easier to pour. I have been making the Duggar Liquid Laundry Detergent for years now. Recently someone posted that you could use the undiluted sauce as a pretreater. I have not had a chance to try it but as well as the soap works it should work well as a pretreater. My sister is trying to get on the Frugal Train and I have been talking about this for years. She was going to Flea Market to buy a name brand that was a Good Price and I told her to not do it. We could make 10 gallons for way less. She brought her 5 gallon bucket with her and I had the ingredients. WE followed the original recipe. I still had Borax and Washing Soda left over from the previous makings but I figured out the price per ounce . I cost us $1.98 to make the whole batch, 5 gallons each. I have often heard that a lot of things that are free are not valued, so I made her pay for half. LOL. It is not that I needed that dollar but I wanted her to remember how cheap it was. I think she will remember handing over that dollar. On the Skin sensitivity issue, I am very sensitive to fragrances I have always used the Fels Naptha because I could not find the Zote that some recommended. I have a question. Fels Naptha comes in a 5 oz bar and Zote is a like a 17 oz bar. Would I use 1/3 of a bar of Zote or what would I do to use it? I LOVE all the homemade laundry detergents and have been using the Laundry Sauce recipe for a few months. Clothes are fresh and bright, so clean! I gave the powdered version a try, and recently made a 5 gallon bucket of the Duggar recipe. I just LOVE making it, ha. The powdered is ok, but I prefer to use it with things that I am washing in HOT water. It seems to dissolve better in hot. For warm or cool washing, I use the sauce (in quart jar). Anyway, back to the 5 gallon bucket of detergent...It turned out great:gloppy like it is supposed to. I tried it on my husbands work shirts (sweaty, smelly, yucky) and find that it doesn't do the job that the cream version does. Towels and not-so-dirty things are fine washed in it. Guess I could use more in each wash, but that is defeating my Save $ purpose. I will use it up on the lightly soiled things in my baskets, but will stick to the jarred stuff for the work shirts. I wonder if it would help to rub a little in the shirts (nasty arm-it area) and let it sit a while? Gonna try! But all-in-all a good recipe, and I will make it again if only to launder sheets and towels. Thanks for the post. How many bars of ivory soap do I grate? I wanted to add my 2 cents in here because I've made this recipe SEVERAL times and I seem to get different results. Here is what I've determined to help some of the issues, especially 'globbing'. when I heat the soap to melt it, make sure it DOESN'T BOIL. My last 2 batches I left the stove and came back to it boiled over... then the soap seems to gel/glob more when that happens. During the final mixing stage on the following day I add a very small container of regular laundry detergent (cheap stuff like store brand) and then use the paint mixer paddle on my cordless drill to mix it into the soap. It helps emulsify and bind everything together very well and helps prevent globbing. this is totally optional. I just really like the consistency better when I add it. Then I mix with the drill for several minutes and it gets really smooth. Also... I don't fill my 5 gallon bucket to the top..... closer to 3/4. Then it's just more concentrated and I use a little less when added it to the washer. I still use an oxi tab when doing whites and vinegar in the rinse container for darks. But I love making my own detergent! I bough a 10 gallon container and made the concentrate as this recipe calls for. Can I just fill it to the top the next day and have the mix ready to be used? adial, if you are going to use a homemade laundry soap recipe, I would steer clear of the Fels-Naptha and use Castile soap as an alternative. This would be a much gentler alternative (the Fels-Naptha can be fairly harsh on sensitive skin)! My daughter is allergic to anything with a fragrance, can I use this detergent on her clothes? Basically I use All free and clear for her. If you add the oxyclean in advance, it will degrade into peroxide and washing soda - so there is no real advantage to adding it in advance. You can make your own oxyclean by mixing washing soda and hydrogen peroxide, but it is probably cheaper to buy a carton of oxyclean from the Dollar Tree. I have an immersion blender that helps keep my homemade detergent smooth, too, Lisa. I love it! It is one of the best kitchen tools I own! I agree with the time factor - shopping for laundry detergent takes more time than whipping up a batch of the homemade version! That is a fantastic tip, Davida! What temperature do you set the oven to? Can you add oxyclean to the liquid so it's in there all the time? I have been using this recipe for the past 2 yrs. I love it and the fact that it has saved me a lot of money. I use a soup blender ( it is only used for this) and mix it after it has sat overnight. No lumps! It takes less time than make several months worth of detergent then to go to the store and buy it. You can also make your own washing soda by cooking the baking soda in the oven for an hour. It works pretty well for me and it is cheaper than washing soda. Michelle, I haven't had a problem with essential oils leaving oily spots on the clothes. I only add a few drops - another option would be to omit the essential oils and use a dryer sheet or other fabric softener if you want a scent. JayJay, I know a lot of people love the powdered version of homemade laundry soap. It would be easier to store! We have difficulty finding Zote around our area (unless I order it online) - do you prefer it to Fels Naptha? I don't cook this recipe. Just use equal amounts of A& H and Borax and grate Zote into it and stir. Pretty stored in mason jars with the crystals exposed. Andrea, that is a fantastic tip! I will have to try microwaving the soap instead of grating it. That would save a lot of time! Hi Megan, I would definitely recommend using Ivory soap and baking soda instead of Fels Naptha and washing soda. Give it a try - hopefully it won't bother your daughter's skin! You can slice Fels Naptha soap in sections and, microwave about 1 min 60 seconds or, until the soap swells..Cool enough to crumble! No grating needed..
My daughter has very sensitive skin. Would you suggest doing both ivory soap and baking soda? I was considering doing the ivory soap with the washing soda first, but I don't know if it's too rough for her. Any suggestions? marleyjustine, the Duggar recipe was the first recipe I tried, too. I thought a mother with 19 children probably knew what she was doing when it came to laundry! We still use this recipe, though I have tried others with success, too. I love homemade laundry products. The recipe from the Duggar's website was actually the first one I ever tried. I love adding oxiclean, Vanessa! It works so well! 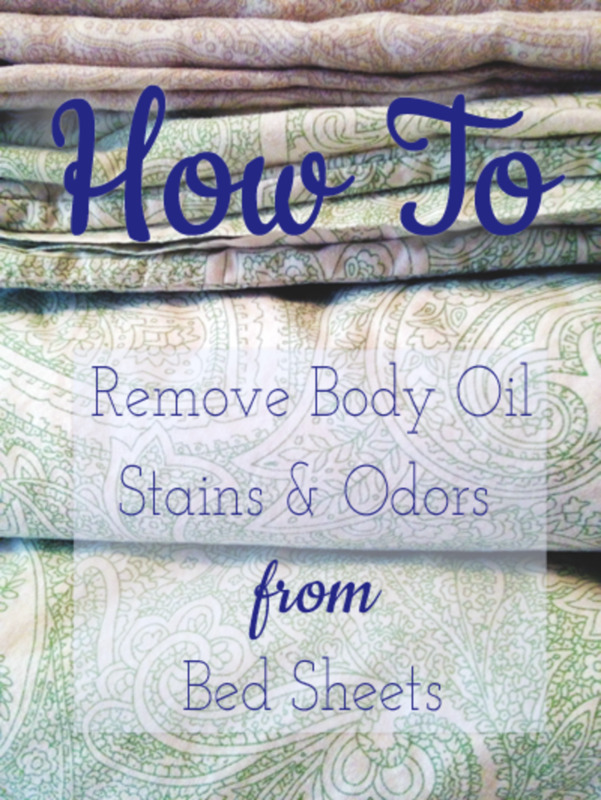 I love the idea about pre-treating heavy stains with the water/dish liquid/ammonia. I will have to try that! We are currently in "clean clothes season" (read: heavy snow and no mud available), but I am sure I will be grateful for the pre-treating method when spring arrives! Hi Julie - I used the same amount for my top-loader (we now have an LG WaveForce machine). The detergent seems to work well in it! I have never used the soapy water on my vegetable garden - it does contain Borax and I wouldn't want to have Borax on the food we are eating (and the alkaline nature of the soap may not be great for the plants). If it was very dilute, then it may not matter, but I'd be worried about killing the plants in my garden. Thanks, Amie Says! We still make this soap and it works wonderfully for us! I have 3 boys. Boy boys. There is not a pair of holeless pants in the whole bunch. They get DIRTY. Oh, and of course my husband works on cars so grease stains abide. I don't add water to this recipe. I use it as a dry powder but I also add a container of oxiclean (well the generic dollar store brand.) It works great. If there is a heavy stain I spray with a mixture of water, dawn dish liquid and ammonia. This is the best article I've read on making your own soap. I love that you listed all the problems with the solutions and gave alternatives to the original ingredients. Kudos! 5 stars from me! Linda, it wouldn't hurt to try using the Sunlight bar soap - if it doesn't work, you can always try something else. We have used everything from Ivory to Castile soap to make ours. The only thing to be careful of is the use of bath soaps that contain oils - these would not be a good choice. It is very watery, Megan - it will not look like the thick gel from commercial detergents. There is no oil in the recipe, so I am not sure why you have a separation. Sometimes using an immersion blender will help create a better suspension of the soap within the liquid. Can I use sunlight brand bar soap found in the laundry isle? I agree, Rae - it is an easy recipe to make and takes almost no time at all! I have started using a hand blender, too - it speeds up the process and helps to evenly distribute the soap in the liquid. I'm sorry it didn't seem to work for you, Li. I have never had an issue with it, but I suppose the experience may vary for some people. We use the Duggar recipe all of the time and have never had a problem with it - even with our very stinky clothes (I also use bleach with our detergent, especially for dishrags and towels). I'm surprised the rags would come out stinky, as even if you washed them in plain water and bleach, the bacteria should be killed by the bleach alone. doesn't take long to melt the soap if you have a hand blender. just get it to a hot temp and then put in the blender and mix it right up. took me less than 5 min. to make a batch. Takes longer than that to run to the store. I want to update my last comment. I made the soap as per the recipe and was happy with it, at first. It wasn't until I washed dirty rags, dish cloths and scrubbies that I began to question my investment. Normally, I wash my rags in 1c soap + 1c bleach and they come out smelling fresh and clean. When I used the Duggar recipe, I use 1 c CONCENTRATED soap and 1c bleach. It was gross! The rags still stunk and were dirty. I tried it again with the Duggar recipe - same amounts - and they still came out smelling dirty and gross. It was if they were washed in plain water. I now have 8 bottles of this stuff and I am thinking about giving it to an animal shelter. I won't use it on my clothes. It's not worth the investment - not matter how minimal - if it doesn't work. wmsg77, you may certainly add bleach to your loads while using the homemade laundry soap. We do it all the time! I do find that sometimes our whites tend to get grayish after many washes, so I will do a load with vinegar every once in a while to remove any soap residue/buildup. I am totally on board with trying a homemade version of laundry soap. However, I use bleach on all my dish towels and whites. Will this detergent work just as good for my 'bleach load' or can I even add bleach when using this soap? We use and make this all of the time, Li! It saves a bundle and works extremely well. I am glad it works for you, too. The diluted version works just fine, but it is odd to use laundry soap and not see the bubbles. Do you get a build-up of soap on the clothes by using the concentrated version in the washing machine? I finally made this and I have to say , that it really is great stuff! I make it in the bucket, but do not dilute it further when putting it in individual jugs. To me, it seems a little too diluted. Plus no bubbles whatsoever.. it's kind of like washing dishes without bubbles - just seems wrong. :( Anyway, I gave some to my mother and sister (both have HE machines ) and they love it too! I have to admit, I LOVE going to the store and NOT buying laundry soap!!! WHOO -HOO! I am waiting for my dryer sheets to run out so I can use the fabric softener recipe. Sarah, you may absolutely use Castile bar soap instead of Ivory. I have a friend who uses Castile soap for all of her diapers - her little boy has eczema and she finds the Castile works well and is gentle on his skin. Can you use natural Castile bar soap instead of ivory? You may use a combination of Irish Spring and Fels Naptha, if you use one bar of Irish Spring and 1/3 bar of Fels Naptha (first sentence). If you use two bars of Irish Spring soap, however, do not add any Fels Naptha. I will clarify the parenthetical phrase to eliminate any confusion! "Add a bar of grated Irish Spring soap and reduce the amount of Fels-Naptha to about 1/3 of a bar. Alternately, 2 bars of Irish Spring soap may be used (do not add Fels Naptha if Irish Spring will be used)." Should I use Irish spring AND Fels Naptha together, or no? Hi Nicole, I have a top-loading HE washing machine and we always put the detergent into the detergent cup (rather than into the drum). It always seems to work fine for us. You could always try it, and if it doesn't clear out completely you could try adding it directly to the drum. I know some people use an immersion blender to smooth out the glops of soap prior to adding it to the big bucket - this appears to help keep it from getting too "gloppy." Quick question: when using in a top-load HE machine--do you out the 1/4 cup amount into the little a area designated for detergent, or do you pour it straight into the washing drum? The only concern I have with the regular space for the detergent is other reviewers' comments of the gloppy consistency. I will be making this soon! Saving containers now. I used to make a powdered homemade laundry detergent and honestly didn't like it BECAUSE it didn't mix well so I always felt I was throwing in uneven amounts of cleaning agents for each load. I hope I will like this better! Hi Ashlee - it doesn't always "glop up," so if you used the Ivory soap and it is simply watery, that is fine. My first batch was made with a bar of Ivory soap and it was also runny/not gloppy. My Fels Naptha batches tend to be more gloppy. I love the idea of making the concentrate and storing it in foodsaver bags, RockingKFarm! It would be so easy to have a large quantity of laundry soap "ready to go." I will have to try this - it would probably work in a strong zip-lock style bag, too. Acline, that is a wonderful idea for storing the laundry soap! I have some commercial laundry containers and use those for storing my homemade laundry soap - it is so nice to save money this way. I make mine is a storage container and then divide it up into old gatorade bottle for storage. At my washer i have an old liquid detergent bottle that i empty the soap into and then add the water to it. THat way I am only storing the 5 gallons not the full 10. Hi Sara, I mix immediately after adding the melted soap. After 24 hours, I will give it another stir (sometimes it will gel up completely, and other times it will be rather clumpy). I haven't seen anywhere on the comments after you melt your soap mixture and dump it into the half filled bucket of water with the powdered ingredients do you stir it then or do you just let it sit until it cools completely then stir? Lorraine, how much blue Dawn do you use in the mix? Does it foam too much? I like the idea of trying that recipe, too! I love homemade detergents. They save a lot of money! Melissa, let me know how your detergent works out! I make a version that doesn't require the grating of soap or heating it on the stove. It also is very watery and not gloppy at all. You just use a quarter cup each of borax, washing soda, and good ole blue Dawn and add them all to a gallon of warm water. I am so glad it worked well for you, Angela! We make this recipe all the time!